Gene Schulle joined the Laguna Residential Group at Compass team in 2018. 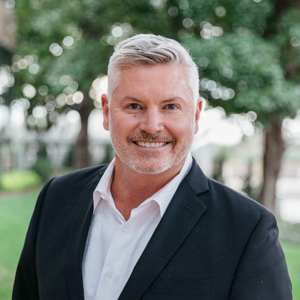 He has over 15 years of experience as a Texas real estate agent, and was most recently affiliated with Allie Beth Allman & Associates and Dave-Perry Miller Real Estate as a top agent. Gene has experience with large residential developments as well as extensive knowledge of the building process and land acquisition. He also assists his clients with redevelopment and investment opportunities. Gene has a keen awareness of his clients’ needs and strives to help them accomplish their goals, whether as an investor or finding the home of their dreams. Prior to joining Laguna Residential, Gene served as an executive with one of the largest home health providers in the United States, Encompass Home Health Services, which was acquired by the largest rehab hospital system, Health South. He has extensive experience in operational management, sales management, and strategic development. Gene holds a Bachelor of Business Administration in Finance from Abilene Christian University.